Effects of exercise and manual therapy on pain associated with hip osteoarthritis: a systematic review and meta-analysis. The aim of this study was to explore the effects of exercise (water-based or land-based) and/or manual therapies on pain in adults with clinically and/or radiographically diagnosed hip osteoarthritis (OA). A systematic review and meta-analysis was performed, with patient reported pain assessed using a visual analogue scale (VAS) or the Western Ontario and McMaster Universities Arthritis Index (WOMAC) pain subscale. Data were grouped by follow-up time (0-3 months=short term; 4-12 months=medium term and; >12 months=long term), and standardised mean differences (SMD) with 95% CIs were used to establish intervention effect sizes. Study quality was assessed using modified PEDro scores. 19 trials were included. Four studies showed short-term benefits favouring water-based exercise over minimal control using the WOMAC pain subscale (SMD -0.53, 95% CI -0.96 to -0.10). Six studies supported a short-term benefit of land-based exercise compared to minimal control on VAS assessed pain (SMD -0.49, 95% CI -0.70 to -0.29). There were no medium (SMD -0.23, 95% CI -0.48 to 0.03) or long (SMD -0.22, 95% CI -0.51 to 0.06) term benefits of exercise therapy, or benefit of combining exercise therapy with manual therapy (SMD -0.38, 95% CI -0.88 to 0.13) when compared to minimal control. 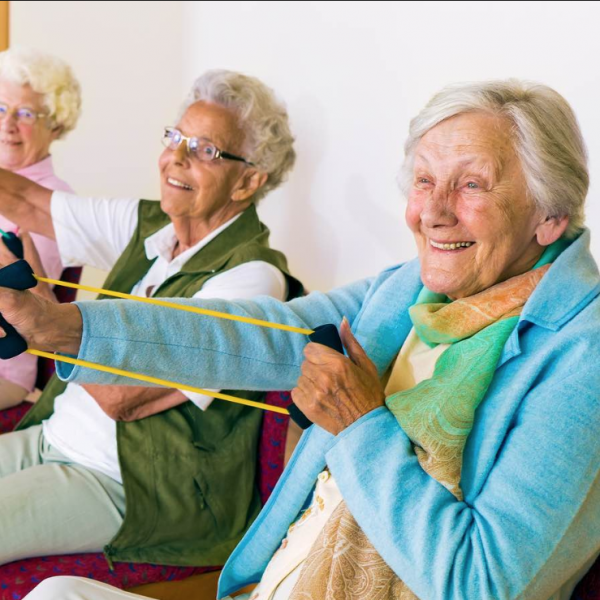 Best available evidence indicates that exercise therapy (whether land-based or water-based) is more effective than minimal control in managing pain associated with hip OA in the short term. Larger high-quality RCTs are needed to establish the effectiveness of exercise and manual therapies in the medium and long term. Beumer L, Wong J, Warden S, Kemp J, Foster P, Crossley K. Effects of exercise and manual therapy on pain associated with hip osteoarthritis: a systematic review and meta-analysis. British Journal of Sports Medicine. 2015;:bjsports-2015-095255.